Sharon became an agent in 1980 and has been President and owner of the Van Allen Agency since 1990. She specializes in Health Insurance, including Major Medical, Group Insurance, Long Term Care, and Medicare Products. Her CSA designation helps her better understand the issues of aging, and provides invaluable up-to-the-minute information on the coverage that is most important to Seniors. And with the ever changing landscape of Health Care Reform, it’s critical to stay informed by the minute. 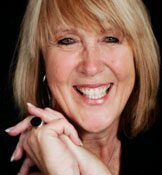 Sharon believes it is her obligation to her clients to have the latest information available as changes are implemented in all areas of Health Insurance. Please call Sharon for a personal, no obligation, consultation. Brandon has been with the agency since 2008 and is licensed in both Health and Life. 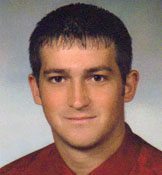 He graduated from Bluffton University in May 2008 with a degree in Business Administration. As a licensed agent, Brandon can answer your Insurance questions and would be glad to help you with a quote. 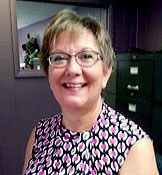 Meet Sue Fritz, our Office Manager and Customer Service Specialist. Sue has been with our Agency since March 2010, and is here to help clients with service issues, questions, and is our key support person. Sue lives near Willard with her husband, Mark, and has 2 grown children and 4 grandchildren. You may have seen Sue and Mark at various events in the area over the years. They’re both talented vocalists and very active in their church and the community. Please feel free to call Sue to schedule an appointment, change an address or phone number, or help with a claim. She’ll be happy to assist you! 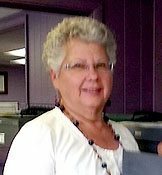 Susan Leak joined our agency as Administrative Assistant. She is here to help with customer support and questions you may have. Originally from Greenwich, Susan has been a part of our community all her life. She has 2 daughters and 5 grandchildren—- oh, and a dog. Susan stays busy, and enjoys traveling, music and theater, and helping her two very busy daughters. If Susan answers your phone call, you can be sure she will get the job done, no matter what!